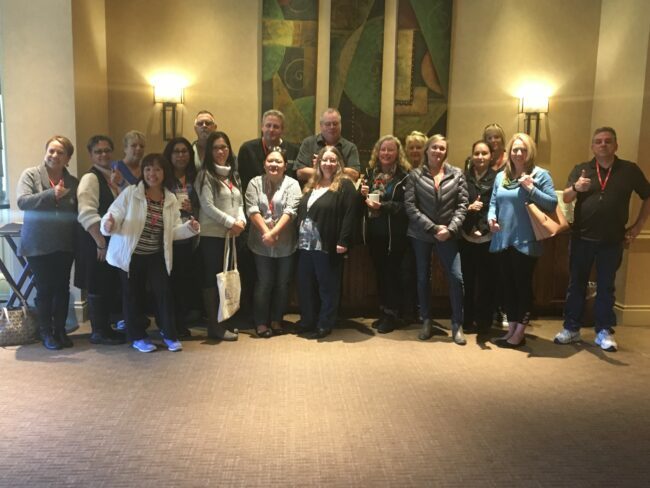 NUHW members at Queen of the Valley Medical Center won a major victory this month when a federal judge ordered the Napa hospital to resume good faith bargaining. At the behest of the National Labor Relations Board, U.S. District Court Judge Yvonne Gonzalez Rogers issued an injunction requiring Queen of the Valley to bargain in good faith, restore union access to the hospital, permit employees to have union representation and offer one worker back his scheduled shift, which was changed in retaliation for his union support. At the union’s request, Queen of the Valley will also to have rescind any unilateral changes it imposed after workers voted to unionize late last year. Nearly 30 Queen members attended the first contract bargaining session on Dec. 7. More than 400 Queen caregivers, including nursing assistants, dietary workers, cleaning staff, pharmacy technicians and respiratory care practitioners, voted by 20 percentage points late last year to join NUHW. After initially working with us, the hospital decided in March to mount a legal fight to overturn the election because it was conducted by mail rather than inside the hospital. The NLRB responded by filing a complaint that the Queen had unlawfully withdrawn recognition of the union. An administrative law judge is expected to rule on the complaint early next year, but because the hospital’s lawbreaking was so egregious, the Labor Board pursued an injunction that now immediately forces Queen back to the bargaining table. Such injunctions are exceedingly rare and only used to remedy the worst cases of management lawbreaking. Of the 21,326 unfair labor charges filed in the last fiscal year, the NLRB only sought injunctive relief in 29 cases, and only received four injunctions. “It’s shocking the extent to which Queen executives have targeted their own employees,” said Becky Dodds, a patient access representative. Queen of the Valley is owned by Providence St. Joseph Health, one of the nation’s largest Catholic healthcare systems. While Providence hospitals in nearby Sonoma County honored the vote of their workers to join NUHW, Queen CEO Larry Coomes has said he would appeal the upcoming administrative judge’s ruling to the five-member NLRB Board in Washington, D.C., which now has a Republican majority following two recent appointments by President Donald Trump.